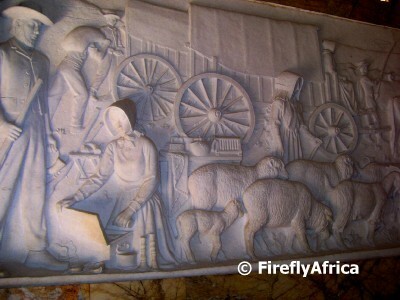 On my last trip to Johannesburg I popped up to Pretoria to visit the Voortrekker Monument. 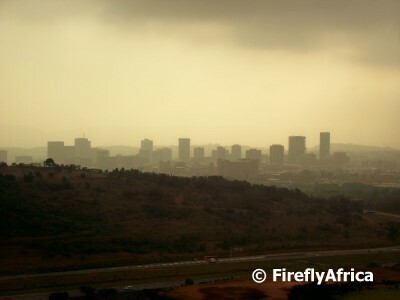 It was a very misty morning and the Pretoria skyline was just just visible in the fog. Pretoria is South Africa's capital city and forms part of the City of Tshwane Metropolitan. Another part of the city seen with one of the monument's Voortrekker leader statues in the foreground. 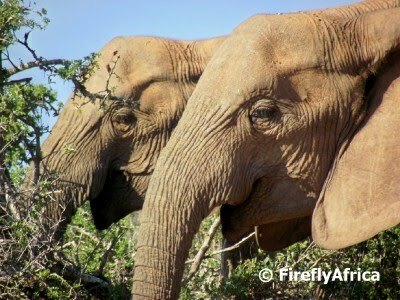 A couple of pachyderms having a meal together at the Addo Elephants National Park just outside Port Elizabeth. I just loved the fact that the second elephant actually looks like the first one's reflection. 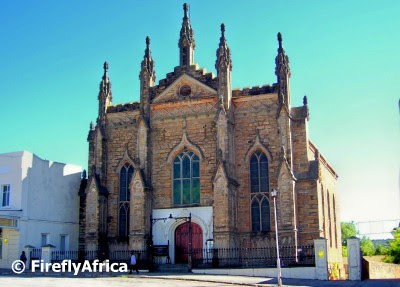 The Commemorative Methodist Church, or as the locals call it The Commem, stands at the bottom of church square in the beautiful Eastern Cape town of Grahamstown. The church was completed in 1850 and was built along the Gothic Revival lines which was very "in" at that stage. 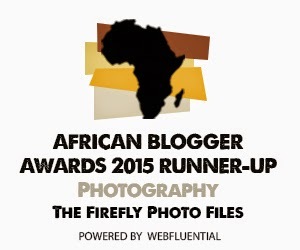 which commemorates those who have fallen in the Anglo Boer War (1899 - 1902). This site was chosen as it is situated "in the mids of our daily work" and would be seen often, serving as a inspiration of peace. The church seats 1200 people with seating downstairs as well as on a gallery. 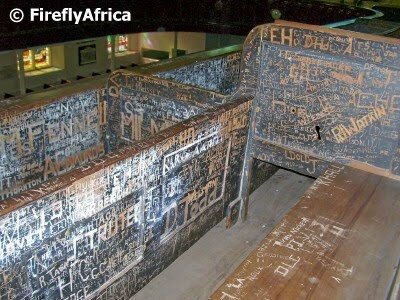 A very interesting and curious feature of the church is all the graffiti on the pews up on the mezzanine. The boys from nearby Kingswood Collage use to come to the church for services until they got their own chapel in the 1950's. It became a tradition to carve out your name in the wood. in 1872 the church employed a law man to try and catch the kids doing it, but that never worked and the tradition lived on. 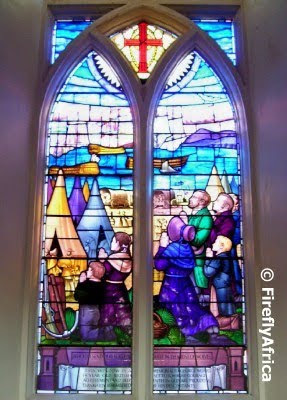 The church has a number of beautiful stained glass windows, this one showing the British Settlers giving thanks for their safe arrival from England to the Cape Colony. The church also has several ornate plaques honouring the lives of past members of the church. 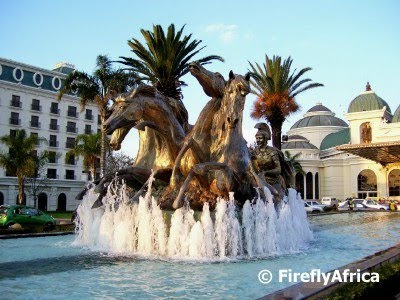 The Fountain of the Emperors is situated just outside the main entrance to the Emperors Palace Casino in Johannesburg. I love forests. 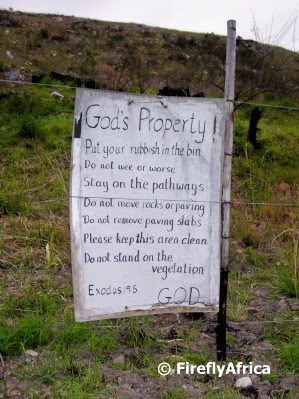 They are peaceful, specially if there is a stream running through it. 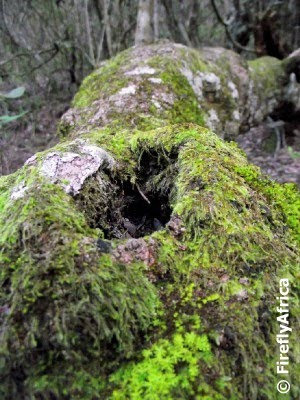 They also offer countless photo opportunities of things even as simple as a moss covered tree trunk. 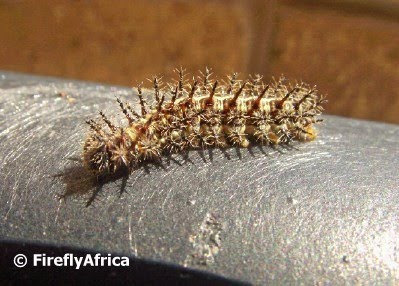 We have had a bunch of these hairy spiky critters around the office building lately. They turn into the Garden Acraea Butterfly later on in their lives. This little dude looks like he needs a haircut. I have no idea what he is, but I found him at Cape Point on my last visit there. 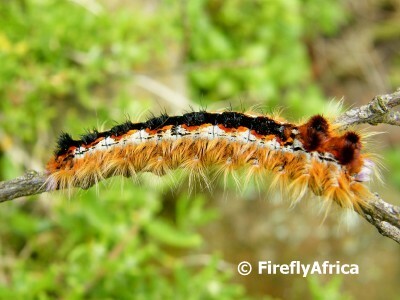 A Caterpillar with a difference. 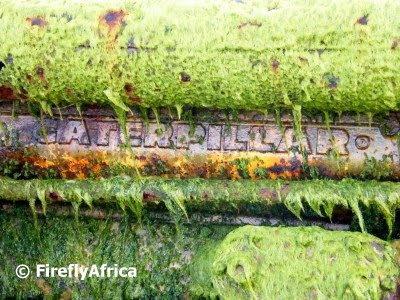 This is the Caterpillar engine of the shipwreck at Cannon Rocks on South Africa's Sunshine Coast. 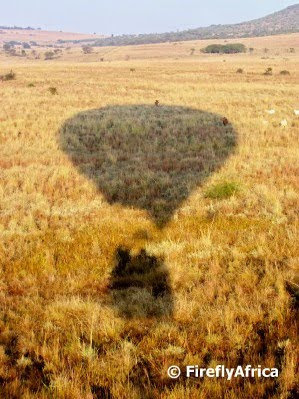 A while ago I had the privilege to go on the ultimate adventure hot air ballooning with Bill Harrop near Magaliesberg north of Johannesburg. I have posted two pics of it before (Hot Air Ballooning), but wanted to show of a couple more pics from the experience. If you would like to see more pics featuring the sky by photographers from all over the world, visit the good people at Skywatch. For a while now I've wanted to get down to the Horse Memorial here in Port Elizabeth to get a nice silhouette sunset shot. Well, the other night I had my chance. It wasn't the most painted sunset sky, but I love the effect. 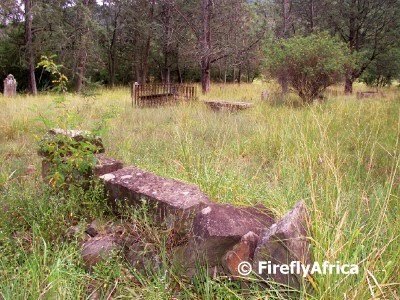 On visiting the Somerset East Museum recently, I discovered this old overgrown grave yard behind it on the slopes of the Boschberg Mountain. I have a thing for old cemeteries and had a look around. Unfortunately the guy who was going to show us through the museum arrived and cut short my exploration, but next time I'm in town I will definitively head back there for another look. 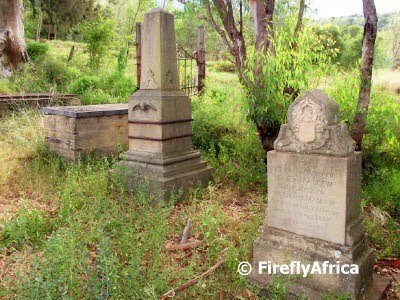 I used to go to the town of Grahamstown (about 120km east of Port Elizabeth) quite a lot during my tour guiding days. 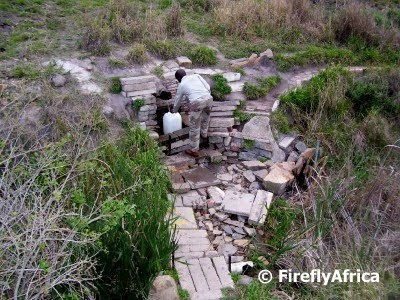 Just outside of town as you are heading towards Bathurst is a spot where fresh spring water flows out of a pipe into a little stream. Most of the times I passed there was somebody filling up containers of water which made me very curious. 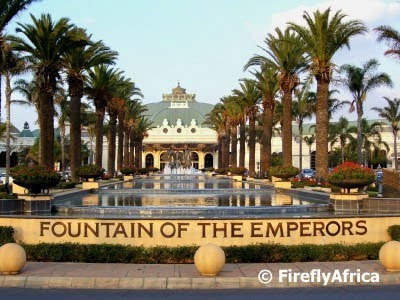 I asked around a bit and Oom Willem at the Grahamstown Tourism office told me that it is a natural spring of the purest water around flowing out of the surrounding hills. Apparently water has been gathered at the spot since the early settler days and that the fountain has never dried, even in the worst droughts. 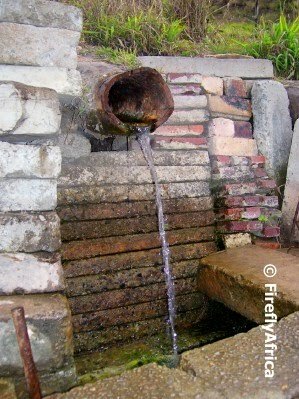 He said that a lot of town folk would go there to gather water to drink as its so much better than the tap water. He couldn't tell me who put the pipe in though. 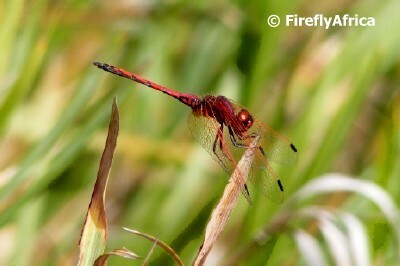 I may use the name Firefly, but my favorite insect is the dragonfly. Skimmer Dragonflies (Family Libellulidae) are strong, fast flyers are are normally seen skimming low over the water's surface. 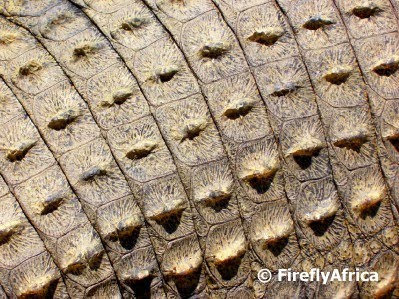 They are carnivores and feed on other insects. Skimmer dragonflies mate in flight and the female will lay her eggs while skimming over the water. They would normally have their wings out horizontally when at rest, so I think this one was trying to hide from me by making himself look smaller. It is amazing how beautiful some animals are. The tiger, leopard, cheetah, giraffe and a couple of others must heave been in the front of the row when God created the animals and were dishing out the skins. Poor warthog must have been standing close to the back. 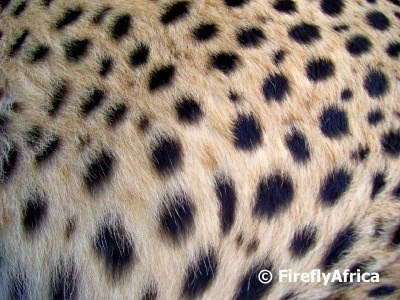 Here are a couple of close-ups of animal skins. All of these animals were (and hopefully still are) alive when I took the pics. 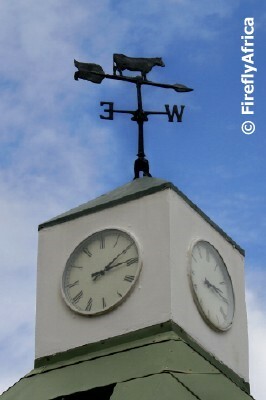 Today I am combining my Skywatch post with a Random theme... post. 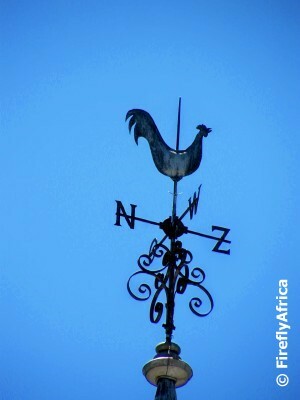 The random theme for today is weather vanes. 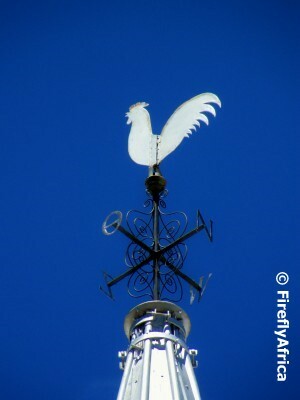 There is a folk song in Afrikaans about the chicken that can't lay an egg and that chicken is the one that stands on top of the church spire. 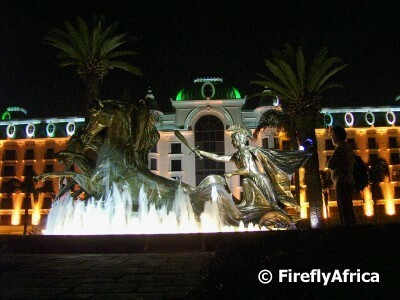 The dragon of St George sits on top of one of the pavilions at the St Georges Park cricket ground in Port Elizabeth. 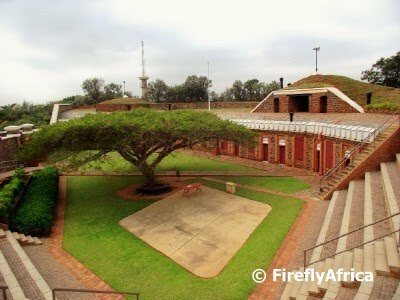 St Georges is the oldest test stadium in South Africa. For more fabulous sky pictures, visit Skywatch for a peek upwards. Don't strain your neck though. Today is Youth Day here in South Africa. 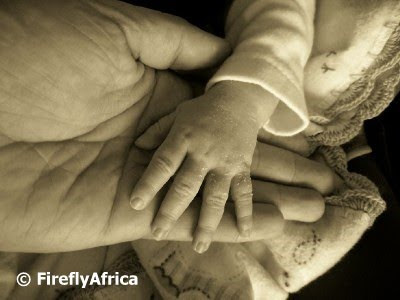 Youth Day commemorates the start of the Soweto riots of 1976. The iconic picture of Hector Pieterson, a black schoolchild shot by the police, brought home to many people within and outside South Africa the brutalities of the Apartheid regime. 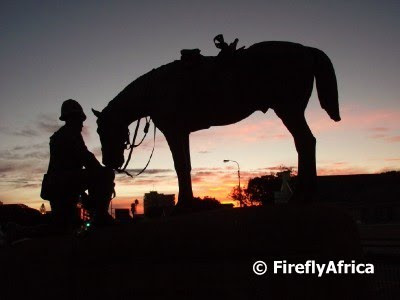 I have done a post on the Hector Pieterson Memorial in Soweto, Johannesburg before which can be seen by clicking on the link above. 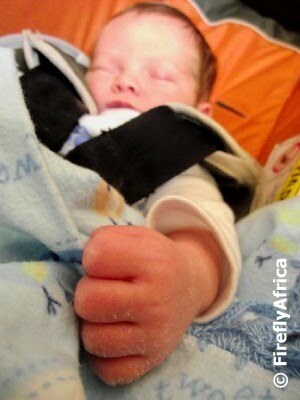 I didn't have anything youthy to post today, so I decided to show a couple of pictures of my baby nephew's hands I took the other day. 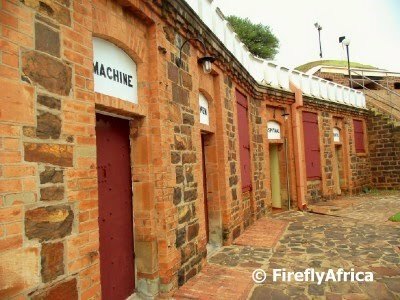 Very few visitors to the Voortrekker Monument outside Pretoria takes an extra couple of minutes to visit Fort Schanskop on the opposite hill. 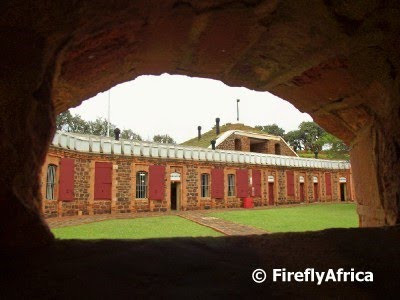 The fort was one of three erected around Pretoria in 1896 after the Jameson Raid and was designed by French military engineer Leon Grunberg. In 1895 the friction between the Cape Colony and the Transvaal (South African Republic) under Paul Kruger in the north worsened. An uprising was organised in the Transvaal to accompany a planned invasion by Dr Leander Starr Jameson. The Boers received warning of the attack and the invasion was a failure. 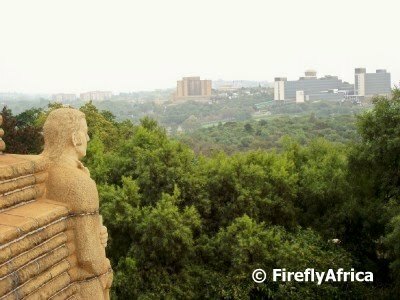 The Voortrekker Monument stands on top of a hill outside the city of Pretoria and can be seen from all directions as one approaches it. The monument was opened in 1949 and stands 40 meters long, 40 meters wide and 40 meters high. 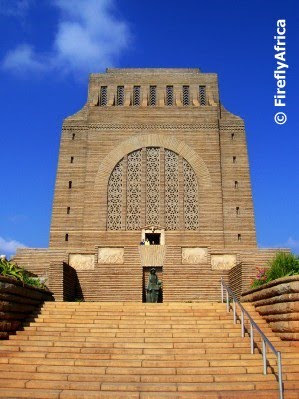 This massive granite structure was built in honour of the Voortrekkers who left the Cape Colony between 1835 and 1853 to get away from British rule and find land to call their own. Surrounding the monument building is a circular wall of decorative granite and engraved with wagons. This represents the historical Trekker practice of "circling the wagons" to defend themselves when under attack. 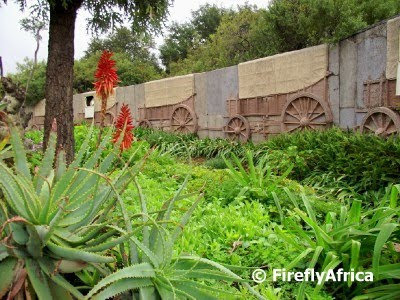 The wall consist of 64 ox-wagons which is the number of wagons used to form the laager at the Battle of Blood River. 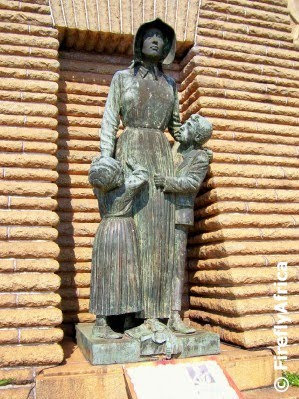 At the foot of the Monument stands a bronze sculpture of a Voortrekker woman and her two children by the well know South African sculptor Anton van Wouw. 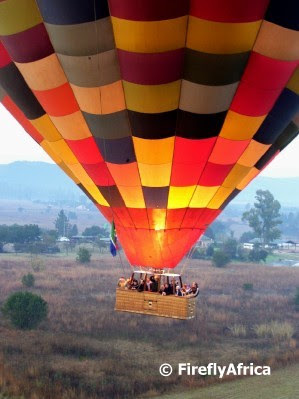 It pays homage to the strength and courage of the Voortrekker women who played as big a part in this historic event as the men. Inside the monument are three levels. On the entrance level (middle level) visitors will find the historical wall frieze. 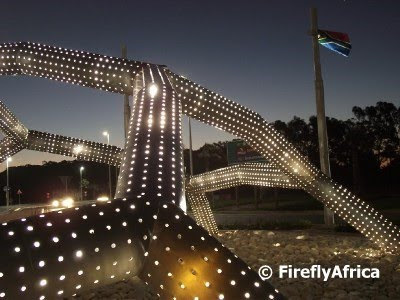 It represents the history of the Voortrekkers and depicts scenes that played itself off during the trek. 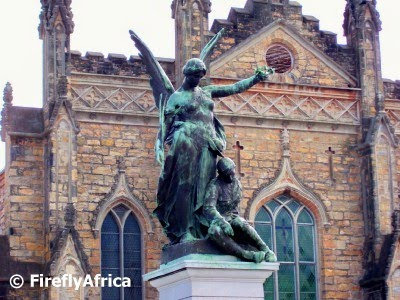 Another feature of the monument is the Cenotaph on the bottom level of the monument and engraved with the words: "WE FOR YOU SOUTH-AFRICA". Once a year, at mid-day on the 16th of December, a ray of the sun shines through a hole in the dome to illuminate these words. For more information on the monument, visit Wikipedia. 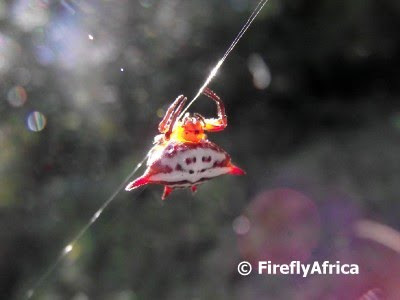 I have done a post about a Kite spider and its web before, but I recently came across this orange and white Kite Spider (Genus Gasteracantha). 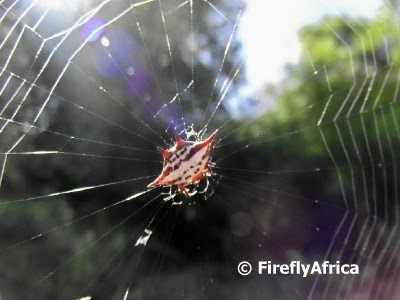 The Kite spider has a flattened, shiny and hard abdomen with spiny projections. 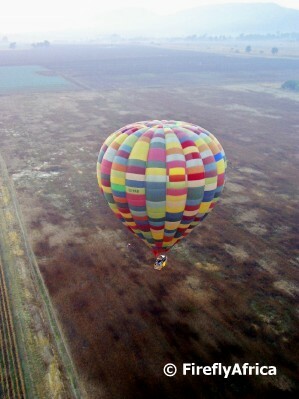 They are normally found in a symmetrical orb web in a tree. 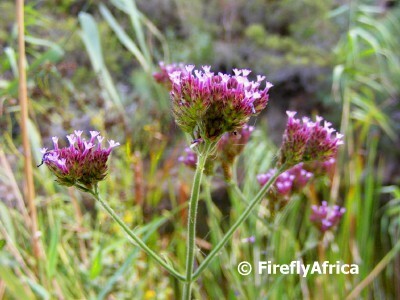 They are quite small, normally about 8mm, so most people would walk right by them without spotting them. The giraffe... the world's tallest mammal. In Afrikaans a giraffe is called a kameelperd (camel horse). Just like a camel, the giraffe walks with both legs on each side of their body at the same time. But that's not what this post is about. 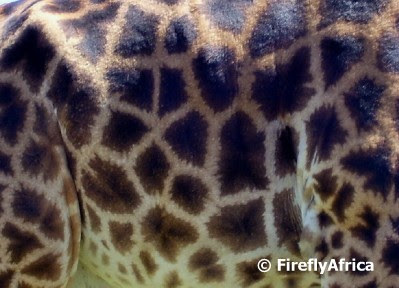 Have you aver wondered about a giraffe's horns? Are they real horns or just tufts of hair? A giraffe has horns. 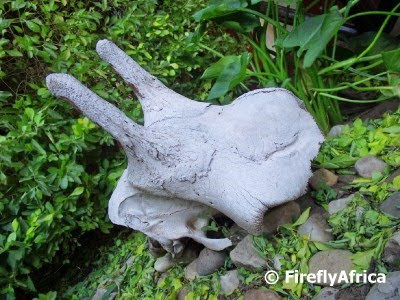 I found this giraffe skull in the garden at Elephant's Footprint Lodge. In the picture you can see that the horns are growing on to of his head and isn't just hair. The way to easily see the difference between males and females are that the females have lots of long hairs growing on top of the horns while the male's horns are normally bold on top. Go figure. 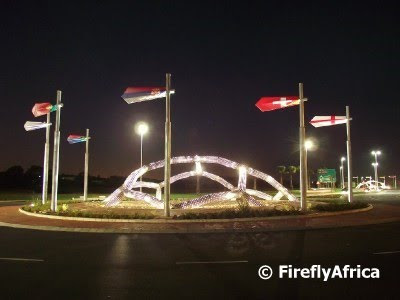 Today is the start of the 2010 FIFA World Cup here in South Africa. I will be posting most of my World Cup photos on my Port Elizabeth Daily Photo blog, but some will make their way here as well. The posts on here will continue business as usual. 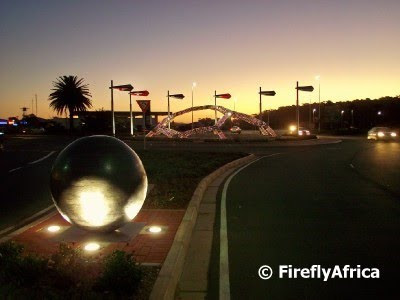 These photos are of the new soccer ball structures on the traffic circles outside the Port Elizabeth Airport. They are beautifully lit up at night and while I was there taking these I saw lots of cars slowing down or stopping to take photos. 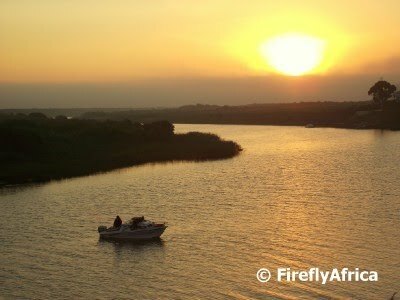 A couple of guys fishing at sunset on the Sundays River just outside Port Elizabeth. 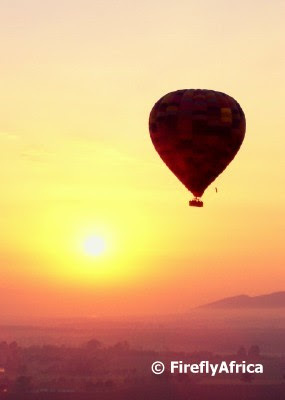 If you want to see more sunsets and other sky related pictures, visit Skywatch.